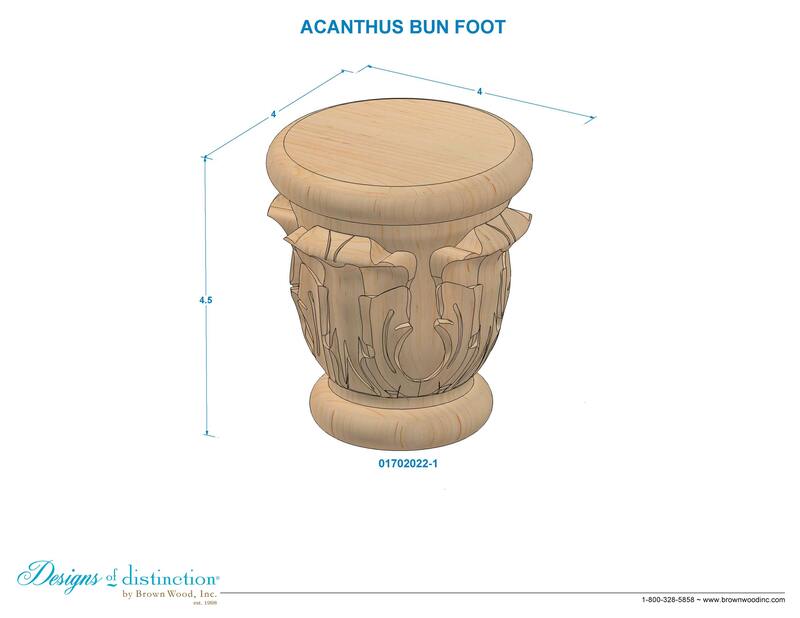 Customize the Acanthus Bun Foot by choosing an Add-On below. Lavish, elegant, and ornate describes the Carved Acanthus Bun Foot. Finish or update your cabinets, seating, chests, or bed frames with dignified, regal details using the Carved Acanthus Bun Foot. Establish a theme using all wood and metal components from the Acanthus Collection. Matching Columns, Corbels and Mouldings available in the Acanthus Collection.